These flags were created by Karen who blogs at MooseBayMuses. In the United States, today is Flag Day. An official observance in honor of the star-spangled banner that represent our country. A hundred years ago, then-president Woodrow Wilson established June 14 as a chance to "rededicate ourselves to the nation". He wanted Americans to use Flag Day to reflect on our founding father's first vows of independence and to use this day as a reminder to stand with united hearts. Considering the occurrence of one the most recent terrorist attacks on our country this week, what a perfect time for us all as individuals to take a moment to reflect in prayer and gratitude. 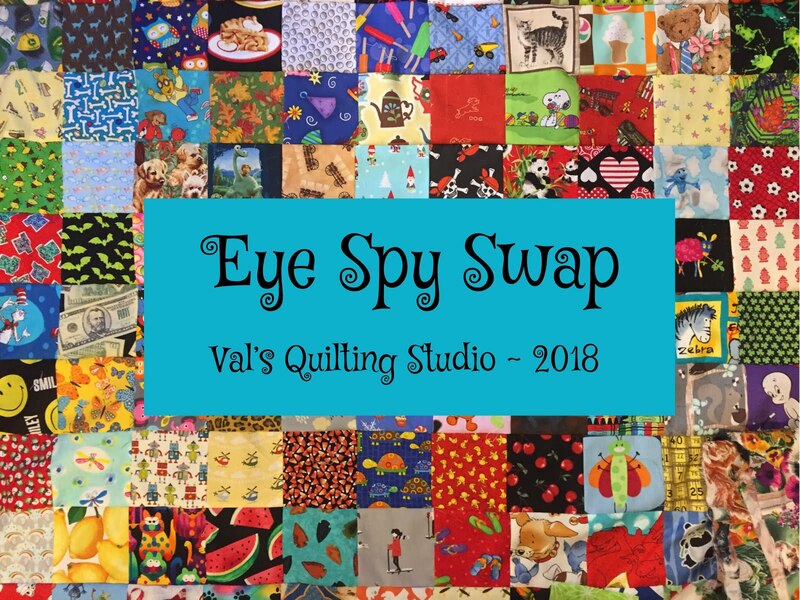 I feel in love with Marcy's scrappy Flag quilt made with her swap group last Fall. 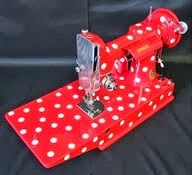 Marcy blogs at Made by Me in Red. 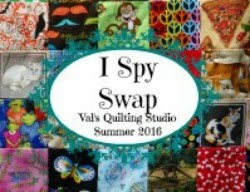 Click here to read more about her swap and this patriotic quilt. 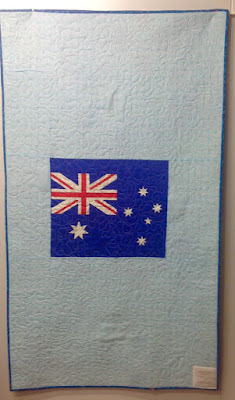 I was also inspired how this Aussie flag, found at Jo's ButterZ's blog, highlights the back of a quilt! So much inspiration among all of us, evident in the great highlights this week. 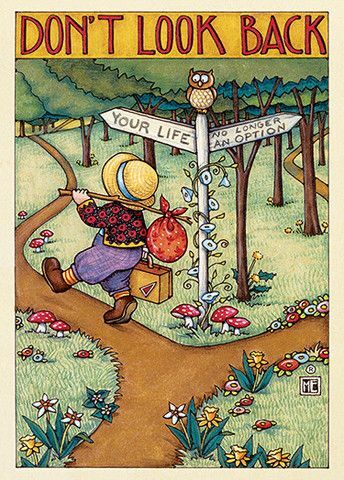 But, also thanks to all of you for stopping by and rejuvenating your old posts here with us each week. I appreciate you! Click HERE to check out our Tuesday Archives Directory. OMG today is flag day. I almost forgot, bad me. That means I also have a family member with a birthday today...I'm so bad with dates. So thanks for the reminder, Val! Thanks for showing my quilt. I love seeing differen designs. I always love seeing the patriotic quilts. Very fun flags. 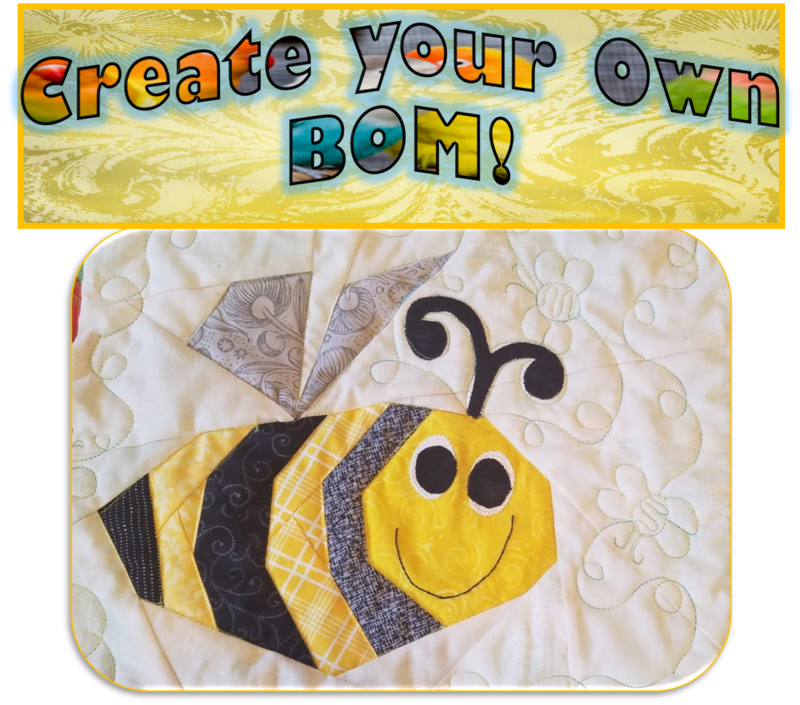 Jo makes such fun quilts, though I had not seen that one. This was quite a show. Everyone must have a flag quilt. Thanks for showcasing my block swap quilt.